It is a fact that the current deteriorated and non-compliant I-81 Viaduct through downtown has to be demolished. 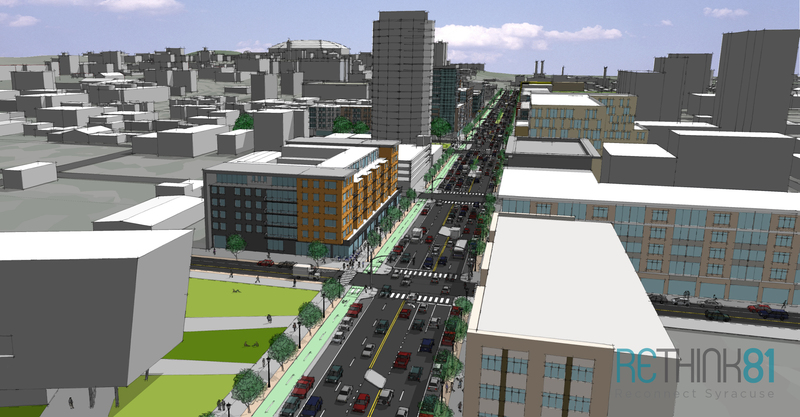 In its place, a new, well-designed urban street could transform Syracuse’s center for the better, reunite Downtown Syracuse and University Hill, and result in new investment and additional tax revenue. 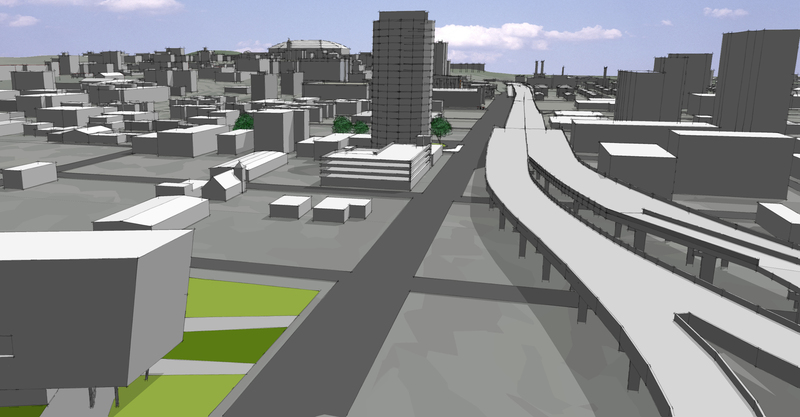 The images below depict our vision for this new street — pull the slider to compare the viaduct of today with the bustling street of our city’s not-too-distant future.